Nothing says “New York City” quite like a walk-up apartment. 1.6 million people are crammed into just 22.82 square miles in Manhattan, where many of the buildings are at least hundred years old and never had the space to build an elevator. The apartments in these buildings still command a pretty penny, but not as much as the elevator buildings. Apartment hunters can save a few bucks by moving into a walk-up, but that moving is a tall task. It’s not impossible, but it takes the right plan to get the move into a walk up done. As movers in New York City for over 20 years, we know just how to move into a walk in apartment, and we’ll share our tricks of the trade with you. First thing’s first; get movers. This advice only gets more pertinent the higher your apartment is in the walk-up building. If your apartment is above a third-floor walkup, you really should not be moving yourself all the way down or up. Carrying your items up and down the stairs is brutally exhausting physical labor. Unless you happen to know weightlifting enthusiasts or football players that are available to help you move, it will probably be too much work for someone who isn’t a moving professional. 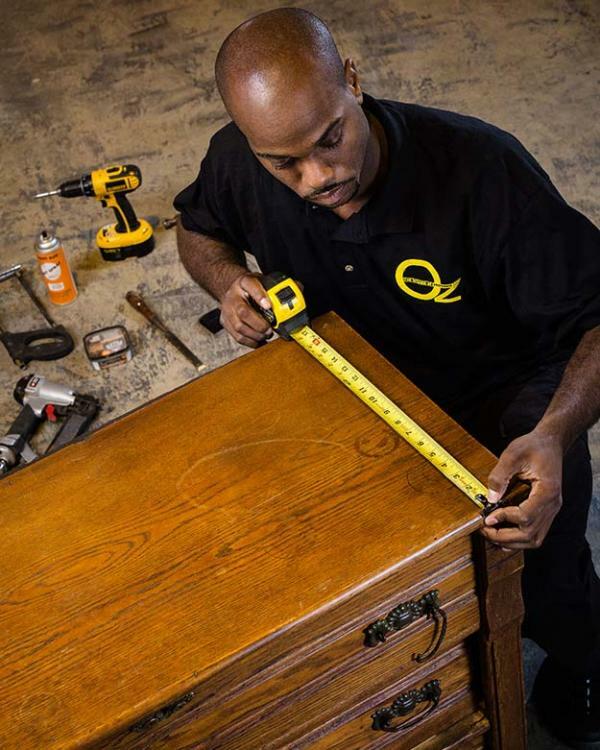 A full-service company like Oz Moving & Storage can help you handle every facet of the move, preventing any potential pitfalls or stress that could come along the way. If the only thing you need is someone to help you with the heavy lifting, you can rent a truck on your own and contract moving professionals to assist you with the rest. When contracting movers, make sure that you explicitly state your building is a walk-up and that they will be required to transport your belongings up or down stairs, and specify how many stories there are between your loading area and the apartment. You can inquire as to whether the movers will disassemble any of your furniture before moving it up/down; this saves plenty of headaches during your move. After the movers are done transporting your inventory up or down your staircase, a big tip is in order; after all, moving in a walk-up is hard work. For those not used to doing it on a daily basis, physical labor can be quickly exhausting. Make sure to stretch before you do any moving to prevent injuries. The first things you transport up or down the stairs should be the heaviest, most unruly items; that way you can make sure you don’t struggle or fail with these items as you get tired out later in the day. Whenever in doubt, carry down the heavy items with another person on the other side of the stairs. Make sure to get enough sleep the night before the move and eat at regular intervals during the move-in to keep yourself in good shape, and use the restroom before you start moving anything to keep everything moving efficiently. Not all staircases are created equal. Make sure your items will fit between the wall and the railing comfortably for safe transport up and down the stairs during move in and move out. Keep in mind that many of your larger items, such as beds and couches, can often be disassembled to greatly reduce their surface area for much easier transport. Moving in such tight spaces presents a lot of opportunity for damage, so make sure to adequately wrap and items susceptible to dents or scratches with a buffer. Two common and effectively used buffers are moving blankets, which are easily re-usable, or bubble wrap, which is less durable but is often easier to find or less expensive. Despite your better inclinations, you really are better off disassembling some of your inventory before you lug it down/up the stairs of your walkup. If you’ll handle disassembly yourself, determine whatever tools will be required for the job well in advance to ensure you can acquire the right kind to get the job done. Most movers will be happy to do the job for you for an extra cost. Any couches and beds should absolutely be disassembled if possible. With other items your mileage may vary; but when in doubt, disassemble. OZ MOVING & STORAGE - FOLLOW US!